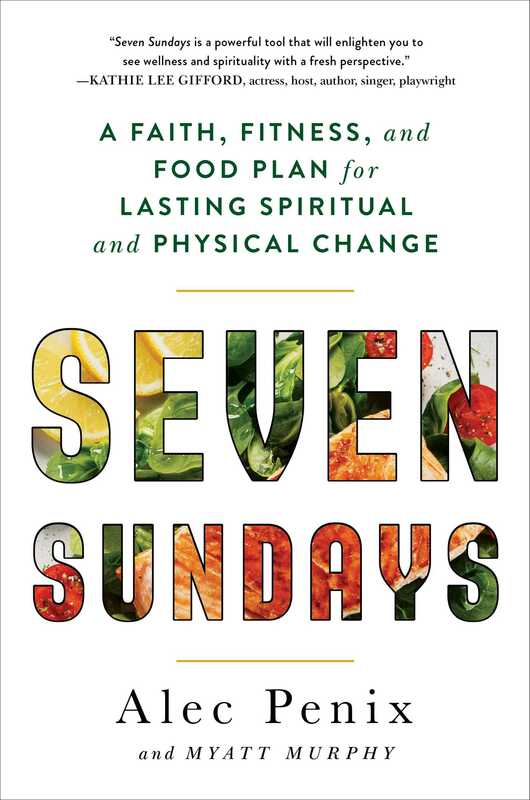 Seven Sundays 1 WHY IS CARING FOR YOURSELF SO HARD? Beloved, I pray that in every way you may succeed and prosper and be in good health, just as your soul prospers. Have you ever wondered why it’s so hard to make changes to your lifestyle, even though you know how much richer your life would be if you did? Have you ever noticed how so many people see healthy living as something they have to do, not something they want to do? Have you ever been confused when someone who looks great still seems so dissatisfied with their “perfect” body—and so unhappy with themselves? Have you ever tried to lose weight, to build your physical strength, or to get healthier, but gotten discouraged and given up? Why is it so hard to care for yourself, even if you really want to? Throughout my own life, as well as my career as a celebrity trainer, I’ve found that there are all kinds of reasons Christians struggle to lead a healthy lifestyle. Sometimes the reason is practical—they lack something they need, whether it’s time, money, space, or something else, and that makes it hard to keep up with their fitness program. But I have found that often the reasons people struggle to stick with a program for healthy living are deeper than that. Sometimes people are driven by feelings of unworthiness, while others spend so much time caring for others that they don’t have the time or energy—or even the permission—to care for themselves. Have you ever said or thought something along these lines? We all have too many demands on our time. You may be working multiple jobs, be caring for children or parents, or spending every spare moment volunteering at your church or in other ways. You are no doubt doing everything you can just to keep your head above water. I get that. But in the end, we all make time for the things that are important to us. We generally find a way to make time for the things we love to do, and it’s hard to prioritize the things that feel like chores. The good news is that living a healthier lifestyle doesn’t actually require any more time than any of us have. In fact, experts agree that it takes only a minimum of 150 minutes of aerobic exercise a week to reap results. That’s just two and a half hours a week! Throughout this book, we’ll be looking at ways to turn what you may think of as a chore—exercising, getting enough sleep, cooking healthy meals—into activities you genuinely enjoy. If you can you do that, you’ll always find the time to prioritize the things that will make you healthier. I’ve noticed that Christians sometimes have a hard time letting themselves focus on their own needs. We often have a sense that we’re supposed to be using our time to serve others. But when we don’t take care of ourselves, we’re never able to bring as much energy and effort to those we care for. Also, when all we do is give, give, give, it can put us in starvation mode. We eventually reach a point where we have nothing left to give. How many times have you traveled the path toward a healthy lifestyle, only to find yourself stopping halfway? Maybe it’s happened enough times that you wonder if there’s any point in trying again. When clients come to me with that outlook, I ask them why they don’t believe in themselves. We dig into it, and we try to uncover the fear that is triggering that doubt in them. And in all honesty, it almost always comes down to one thing—they’re afraid to fail. They don’t give it their all because they don’t want to let themselves—or someone else—down. Who are you afraid to let down? Why are you afraid to give it a shot? My clients usually come to understand that you have to be able to risk failure if you want to have any chance of succeeding. While it’s true that some of the changes you’ll need to make to eat better, become fitter, and live a healthy life can take some adjusting to, that doesn’t mean they have to be boring. To keep things interesting, you have to mix things up and try new things every single day. There are so many activities, flavors, and experiences in the world that fit into a healthy lifestyle; it’s simply a matter of knowing how to keep things interesting for both your body and your soul. When we feel unworthy of accepting something positive, such as happiness or health, it’s because we don’t love ourselves. We end up accepting only what we think we deserve. Recognizing that you warrant the effort it takes to get healthy is something that has to come from within. You have to believe wholeheartedly that you are worth it so you can acknowledge and receive what you rightfully deserve. And if children, heirs also: heirs of God and fellow heirs with Christ, if indeed we share in His suffering so that we may also share in His glory. And now I commend you to God and to the word of His grace. His grace is able to build you up and to give you the inheritance among all those who are sanctified. You may not love yourself—not yet, at least—but you can trust God, and your history does not have to define your destiny. Remind yourself that we have inherited royalty for what Christ sacrificed on the cross. There are many people out there who others would say are incredibly fit and healthy, but they still don’t love themselves the way they should. They never let themselves see what’s apparent to everyone around them. They never believe that their body—sculpted and polished as it may be—is good enough. The only way these people will ever see that they are good enough is if they take the focus off the physical and start to work on other parts of themselves. You can lose all the weight you want to, have a perfect diet, and feel fantastic—but that’s still not a guarantee you’ll love your body. To get there, you have to move beyond the physical. I was once part of that congregation of people who couldn’t appreciate what they had. I struggled for years to believe that my body was good enough, strong enough, lean enough. I know firsthand—through both personal experience and working with my clientele—what it’s like to see your body through the wrong lens. Whatever shape you are in, your body is the temple of God, and that alone means it’s good enough. Through the course of this book, we’re going to spend as much time building up your spirit as we do building up your body. Through a deeper relationship with Him, I hope you’ll come to see that your physical body is worthy of love and respect, and that through God all things are possible. Many people believe that good-for-you foods are pricier than fare that may not be as healthy, but have you ever put it to the test? I’m willing to bet that certain unhealthy foods—such as high-priced lattes and energy bars—may cost more than healthy foods and drinks you could be substituting for them. However, I will confess that a landmark study showed that the cost of eating an extremely healthy diet—full of fish, fruits, nuts, and vegetables—is roughly $1.50 per day higher than eating an unhealthy diet of processed foods and refined grains.7 That does add up over time. How much is your health worth? Eating healthier can minimize your risk of so many chronic diseases, make you feel more energized, and boost your immune system so that you’re less likely to be sick. Is one-quarter of what you probably spend on a cup of coffee worth it? I know that it is. And how much are you wasting when it comes to what you eat? According to the US Department of Agriculture, the average family of four wastes nearly $1,500 worth of food each year.8 That said, all it may take—if cost is that much of a consideration—is just being a little wiser in how often you purchase perishable foods so that you’re less likely to throw away food that may have spoiled or gone past its expiration date.